The free BlackVue App and Viewer let you use your BlackVue dashcam to its full potential. Whether on mobile or on home computer, BlackVue gives you the tools to fully enjoy your dashcam’s functions. Mobile: the BlackVue app for iOS and Android is compatible with all Wi-Fi-enabled BlackVue models. Computer: the BlackVue Viewer for Windows and Mac OS X supports all BlackVue models to date. With the BlackVue App, connect to your BlackVue in Wi-Fi (BLACKVUE WI-FI menu) to access settings, video files and direct Live View for easy installation of your dashcam in your vehicle. 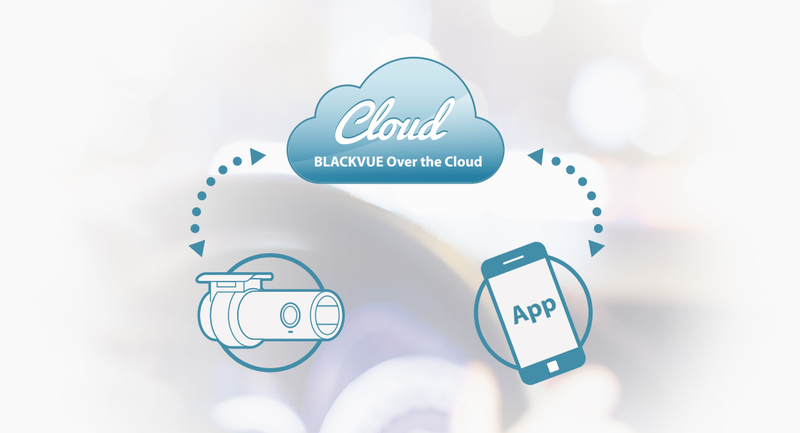 In the BLACKVUE CLOUD menu, set up your Could-compatible BlackVue to connect to the Cloud and check on your car anytime, from anywhere in the world. The BlackVue App is free to download and use. It is compatible with all Wi-Fi-enabled BlackVue dash cameras. For more information on BlackVue Over the Cloud and a list of compatible models, check the Over the Cloud page. COMPATIBILITY: iOS 8.0 or later / Android 4.2 and up. ​Remote Live View - Remotely monitor your car in real time. Two-way Voice Communication - Talk with people in the car from your computer (requires a microphone). Emergency Alarm - Receive notifications on your computer when preset events occur. Video Backup - Move files from your dashcam to the Cloud storage or your computer, right from the Cloud Viewer. GPS Tracking - Visualize on a map your car’s location and speed. Remote Video Playback - Play videos stored in the Cloud or in your dashcam anytime from your computer. * Available features depend on the BlackVue model you use. The BlackVue Viewer is free to download and use and supports all BlackVue dash cameras to date. It includes two modes: SD Card mode and Cloud mode. The SD Card mode lets you explore your BlackVue’s microSD card and change all settings, such as time zone, video quality settings, as well as update your dashcam’s firmware. All videos are listed by date, time and recording mode (Normal, Parking, Event, etc. ), making it easy to quickly identify and archive important footage. The Cloud mode connects you to your Cloud-compatible BlackVue from anywhere, anytime, letting you experience remote Live View, back up videos to the Cloud or change configuration settings. ​COMPATIBILITY: Windows XP and above / Mac OS X 10.10 and above.